In October, Facebook reminded me I spent part of 2010 in Chichicastenango, Guatemala. The reminder came as I sat at a table with other reporters at La Esquina — a trendy Guatemala City restaurant. Thus six years to the day, I was back in the country, which is an almost mystical occurrence and also very Guatemalan. Over 20 centuries ago, what we know as Guatemala was the heart of the Mayan civilization and renowned for its magnificent art and advanced architecture, mathematics, astronomy, writing and calendar system. Traveling around the country, it’s clear the ancient culture’s influences endure, right down to a strange but unmistakable air of proximity to divinity. On this visit, though, I would not spend time in Chichicastenango, the indigenous Mayan town located at 6,447 feet in the southwest Sierra Madre de Chiapas mountains. Instead, after dining at La Esquina, which serves sustainable fare sourced from local farmers and suppliers, we transferred to Flores and the Las Lagunas Boutique hotel. Flores is located in Guatemala’s northern Peten province and presents a quiet contrast to the country’s southern mountains and volcanoes. The city’s oldest section is located on an island on Lake Peten Itza that is connected to the mainland by a short causeway built within the last 40 years. The island is an important site in Guatemala’s colonial history: the last independent Maya state to resist Span’s conquistadors withstood a 1541 siege at Flores by Hernán Cortés. 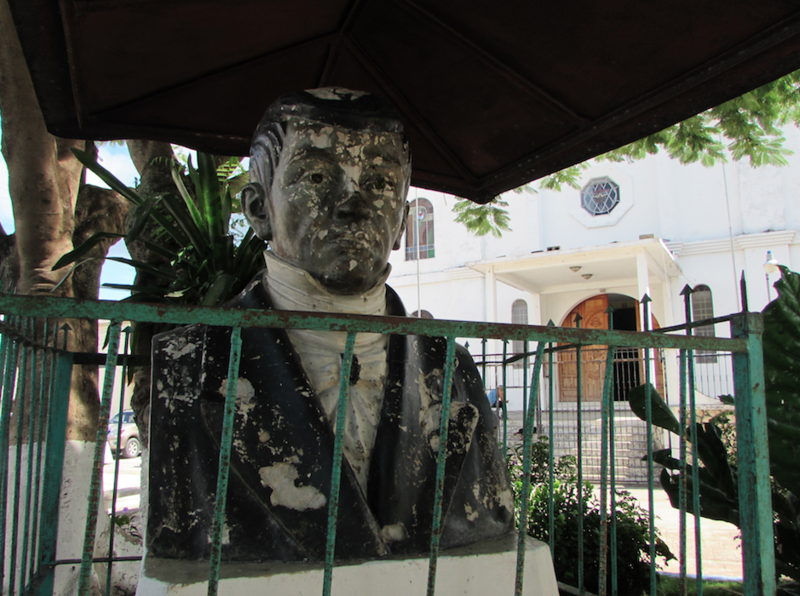 Today, Flores it is a quiet and pleasant fishing village with cobblestone streets, small hotels, restaurants and arts and crafts shops, as well as the Catedral Nuestra Señora de Los Remedios y San Pablo Itzá. The historic church sits across from a small and leafy central park, a space that’s common to nearly every Guatemala town. Las Lagunas is a luxury jungle lodge located 20 minutes from Flores, with over-the-water bungalow suites positioned around large, tranquil Laguna Quexil. The bungalows are linked by wooden walkways lined with lush native trees, plants and flowers. Located on a 300-acre private reserve, the property’s lakeside suites feature enclosed decks with Jacuzzis that offer unobstructed views of the sun setting into the jungle canopy, and the glimmering moon ascending above the trees in the evening. By day, we enjoyed a boat excursion to one of the small islets around the lake, where we interacted with a colony of spider monkeys whom we fed carrots from our boat. One of the monkeys, whom our guides have nicknamed “La Lanchera,” climbed into the boat and blithely inspected the bucket of carrots. Picking out a few, she sat down on the floor to chomp on her meal. Later that day we visited Yaxha, a lesser-known Mayan archaeological site in Peten. During its peak period, the ancient community is estimated to have covered 92 square miles with a peak population of 42,000. A light rain fell as we strolled the site’s excavated plazas, causeways and Mesoamerican ballcourts. We walked past towering tree-covered mounds that our guide explained were unexcavated temples and structures. It was intriguing to learn that only a fraction of the sites tied to Mayan civilization has been uncovered. Later, we climbed site’s 100-foot high temple and stared out into the eerie expanse of mist-covered jungle. 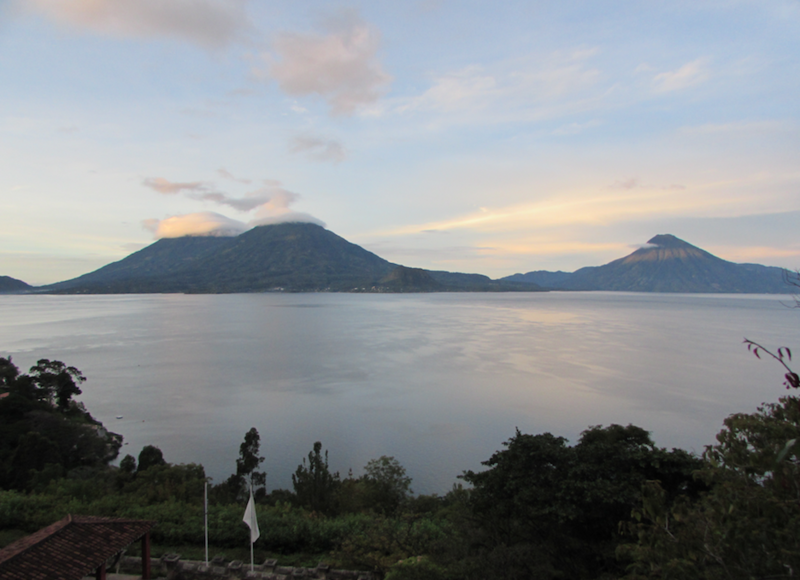 A few days later we traveled by helicopter to Casa Palopo on Lake Atitlan in Guatemala’s highlands. The lake is Central America’s largest with a maximum depth of around 1,120 feet, and is located in a caldera formed from a volcanic eruption 84,000 years ago. I had a spectacular view of the lake from my room on Casa Palopo’s upper level. In fact, the beautifully furnished resort faces three volcanoes, and one of the simple pleasures of spending time there was watching the massive, ever-changing cloud formations whisper about the picturesque peaks. I spent only a few precious hours at the hotel as we used much of our time to explore the indigenous villages surrounding the lake. Mayan culture remains prevalent in these villages, down to the traditional dress worn by many residents. Our group strolled the hilly streets of several towns, looking at colorful wall murals, visiting artisan’s textile shops and speaking with local weavers and craft-makers. Later, back at Casa Palopo with the volcanoes in view before a setting sun, we participated in a ceremony by a Mayan shaman, who used a traditional pyre of colored candles, flowers, incense, nuts and other natural elements to lead a prayer for our peace and well-being. I used those moments to wish good fortune for family and friends, and reflect on my incredible luck to revisit this magnificent country exactly six years after my first visit. I couldn’t help but think an ancient Mayan spirit had somehow preordained my return.